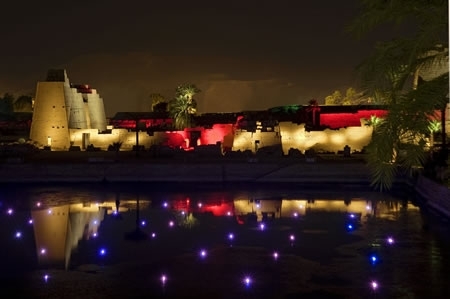 The Karnak Sound and Light Show highlights the dramatic history of ancient Thebes. The show narrates the achievements of some great Pharaohs, with poetic descriptions of the ancient treasures. As visitors walk through the complex of temples, pharaohs arise to tell the story of their interesting lives, as haunting music mysteriously flows through this ancient city. 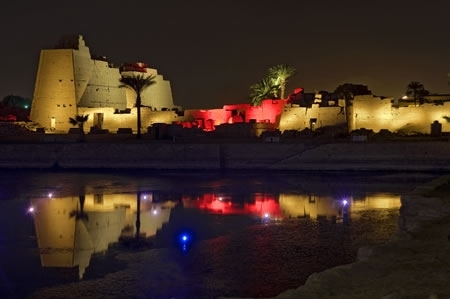 Ancient and poetic voices tell the visitors about the birth of Karnak temple and the heroic achievements of pharaohs and god Amun. 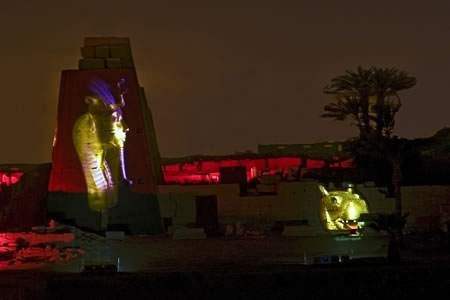 It is an enchanting and supernatural experience to listen to sound effects and gaze at the magnificent ruins illuminated during the well-presented show. It is one of the most important temples of the city of Luxor, its construction started in the reign of King Seti I, and was completed during the reign of King Ramses II. 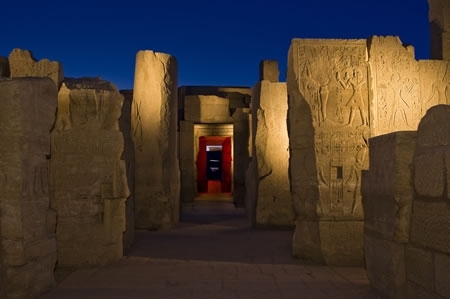 It is located three kilometers to the north of Luxor temple. it eas built for the worship of the sacred trinity of Tehbes, Amoun-Re, his Wife, Moot, and son. It is considered the largest temples of the ancient world. Its construction began in the reign of the central state, about 2000 BC. At that time, it was not built at that level of magnitude, however, in the modern state, to which King Tut Ankh Amun and King Ramsis are affiliated, a magnificent temple was built on the ruins of this temple that embodied the magnitude of the Egyptian vast empire. During the following dynasties, each king added more to the temple as in adulation to gods and out of desire of getting popularity among the members of the people.